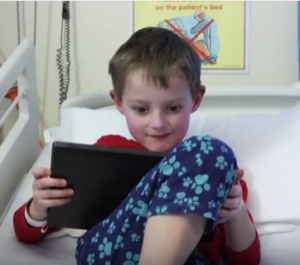 A video produced by St Peter’s Hospital for children going to hospital for surgery. The video includes information about common surgical procedures and the pathway of care for paediatric patients. It can be shown to a child before their hospital visit in order to ease their anxiety and help them feel prepared for what will happen.